Fruit Spin online slot by NetEnt presents a modernized version of a Vegas-style slot machine game by way of a 4×5 grid filled with Stacked Symbols and 40 fixed-paylines. Even the Scatter Symbols appear as stacked images, and any part that becomes visible instantly triggers the Lucky Wheels Bonus Feature. Spinning the Lucky Wheels may bring Fruit Spin players to the Free-Spins Level, in which only the top-paying icons, the Wilds and the Scatter Symbols appear. Now if a Lucky Wheels spin does not result to the activation of the free round, every spin is still a boon because the alternative outcomes are instant Coin-Wins. The Number 7, the Gold BAR-BAR-BAR, Silver BAR-BAR, and Bronze BAR are the top payers. The Number 7 awards 15, 60, or 300 coins as rewards for a three-of-a-kind , four-of-a-kind, or five-of-a-kind payline match. The Gold BAR-BAR-BAR awards 200 coins on a 5-symbol winning combination, the highest among the rewards bestowed by BAR symbol variants. Dazzling images of jewelry-like Cherries, Oranges, Lime, Berries, and Grapes represent the base game low-win symbols. The Cherries award as many as 5, 10, or 40 coins, while the Oranges, Lemons, Berries, and Grapes have uniform pays of 2, 5, or 20 on standard winning arrangements. 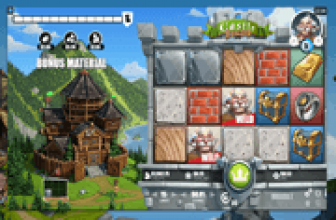 Although this game features 3-tile high, Stacks of Wild Symbols, they appear only in the Free-Spins Round. The Stacked Wilds occur only in Bonus Reels 2, 3, and 4, which if appearing in full, readily furnishes a block of 3×3 Wild Symbols that is equivalent to nine (9) substitute icons. The 3×3 Wild Block may appear partially but still spanning 3 consecutive center-reel positions. Any portion of the 3×3 Wilds aligning in the same payline with identical 7, Gold BAR-BAR-BAR, Silver BAR-BAR, or Bronze BAR icons starting from the leftmost column, completes or expands a winning arrangement. Similar to the Wild icon, the Stacked Scatter Symbols emerge as a 3×3 block of elements. Yet unlike the Wild, the 3×3 Scatter Block may take position anywhere in both base and bonus game reels. The 3×3 Block may also emerge in part, but always in its full width as 3 rows of Scatter icons. Whether emerging in part, or in its entirety as a 3×3 Scatter Block, any portion in view can set off the Lucky Wheels Feature. However, a single row of the Scatter Block awards only one (1) Lucky Wheels spin, while two (2) rows or a complete 3×3 Scatter Block awards 2 or 3 Lucky Wheels spins, respectively. Once activated, three (3) Lucky Wheels containing similar prize wedges will be presented for Bonus Game Play. The wheels turn independently, albeit all at the same time in every spin. The Prize Wedges include a Free-Spins Symbol, three Coin-Win icons and a Ruby. A Fruit Spin slot player gains entry to the free round if all 3 Wheel Prize-Pointers land on the Free-Spins Prize Wedge. If on the other hand, all Wheel Prize Pointers land on numbers representing Coin-Wins, the sum of all coin prizes will be awarded. However, if a Wheel Prize-Pointer lands on a Ruby, no corresponding reward will be accounted for that particular bonus wheel. 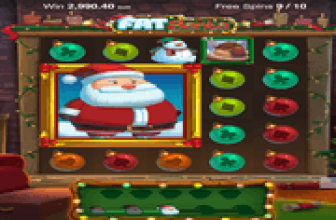 A round of free games comprises five (5) bet-free spins. During the round, the 3×3 Block of Wilds will appear either in part or in its entirety as a chunk of nine (9) substitute elements. The 3×3 Scatter Symbols remain active in the Bonus Reels, still capable of triggering the Lucky Wheels Feature. However, the Bonus Game Lucky Wheels contain only Prize Wedges for one (1) Extra Spin and 20 Coin-Wins. Every Extra-Spin landed as outcome by any of the Lucky Wheels adds one (1) free-spin to the bonus round. 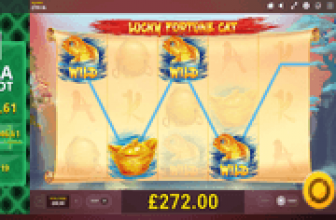 Fruit Spin online slot takes Vegas-style slot gaming to a different level by featuring Stacked Symbols of regular images, and 3x3 Blocks of Wild and Scatter Symbols. Here, Bonus Wins can be gained via 3 Lucky Wheels that award either instant Coin-Wins or Free-Spins.